You know you should get your roof inspected regularly. (Or maybe you didn’t know until reading this post.) But perhaps you’re not sure why, how often, or what it entails. In this post, we’re going to discuss the importance of regular Concord roof inspections and how a maintenance plan can make all the difference in ensuring your new roof lasts for decades to come. You may have heard the statement, “an ounce of prevention is worth a pound of cure.” This is true, not just when it comes to your health, but when it comes to just about anything in life, including your home. If you are able to prevent future problems from occurring, then you’ll save a lot of headache, hassle, and money in the long run. For example, if you know your roof has an issue that could lead to a leak (no matter how minor), and you choose to remedy the problem before the leak occurs, you’ll prevent major water damage from happening that could potentially ruin other areas of your home and cost you a lot more money. Your home is a big investment and should be treated as such. Taking advantage of our free roof inspections in Charlotte and Concord should be part of your investment care plan. That said, you may have some questions regarding roof inspections and maintenance, which we’re now going to address. When should you have your roof inspected? Most Concord roofing contractors suggest getting a roof inspection at least once every other year. Many roofing companies will do it for free, so you really have nothing to lose. If you’re due for a roof inspection, give us a call today at (704) 879-3390 and we’d be glad to take care of it for you! Do I need to hire a company for maintenance or can I do it myself? 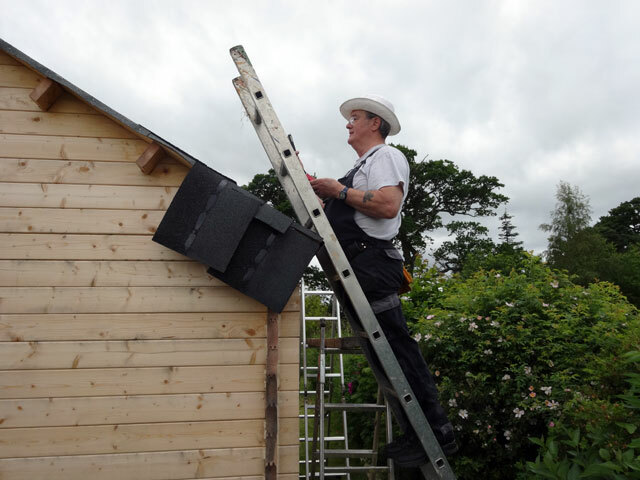 If you’re comfortable walking around on your roof and feel that you can safely repair any minor issues, then by all means: we encourage you to do it yourself, especially if you’re on a tight budget! But if you’re afraid of heights or don’t know what to look for, then hiring a professional Concord NC roofer might be best. You can do basic things yourself, like sweeping away moss and debris, caulking flashing around your vents and chimneys, cleaning your gutters, and applying a roof-specific mildew/mold inhibitor. But we don’t recommend attempting these things if you’re not handy, as you could potentially do costly damage to your roof. There are many other problems that may occur with respect to your roof. The real danger is letting them go unattended for months or even years on end. Though a total roof collapse is rare, we have seen them happen, and failing to undergo proper maintenance can lead to that, costing you thousands upon thousands of dollars! Bottom line: get your roof inspected and make sure it is properly maintained. This will ensure that your warranty does not get voided and the life of your roof is long. Most roofs are built to last about 20 years. If it’s been a while since your roof was inspected or replaced, you may be due for some maintenance, repair, or even a full roof replacement. Now is the perfect time while the weather is still fair. (It’s best to do it before it gets too cold and icy precipitation beings to fall.) Give us a call today at (704) 879-3390 to schedule your FREE roof inspection in Charlotte, Concord, and surrounding areas!